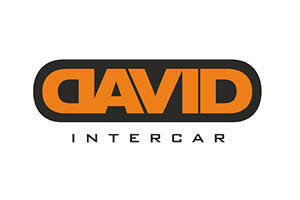 Since 2005 David Intercar is a company with private capital only, having as a main activity a high quality rental car business and airport transfers . Our activities started with support for mainly foreigners companies active in shipbuilding industry and real estate company in Romania. We have assisted our customers with rental cars, usually with drivers, booking hotels, rental apartments. David Intercar, has become an important partner of numerous foreign investors, specifically in the shipbuilding industry. Our company offer rental car services, in Romania and as well in Moldova. Ever since we started our business, our aim has been to live up to your highest possible expectations. Quality, safety and comfort are the key drivers for running our business. Our cars are fully insured with free Wi-Fi on board, offering the perfect comfort with regard to safety and quality. Providing high level of customer service, our clean, modern and comfortable vehicles make your trip a memorable experience. Our team consists of competent drivers with more than 10 years of driving experience. Educated and well-informed, looking professional and trustworthy, our drivers are multilingual, providing safe tours, being able to interpret the cultural, historical and natural heritage of Romania. We offer you the possibility to driving yourself our cars or to hire one of our drivers finding competitive rates, as a result from our flexibility. For any other information please do not hesitate to visit our website or to contact us directly. Working with us will save your time!